It's that time of year when a good book, warm blanket and a hot beverage makes for a complete relaxing evening. 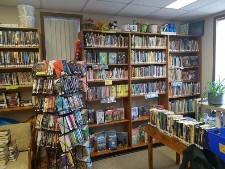 Come on down and see what we have to offer at the library! I'm sure you'll find something for your enjoyment. The Library has plenty of new offerings for everyone! 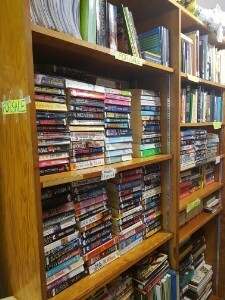 ***Theodore library has their gigantic book sale on now! Fill up a shopping bag for a donation to the library! 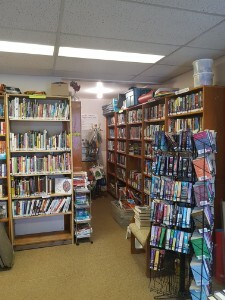 All proceeds from book sales keeps the library in Theodore supplied with paper rolls, pens, etc. 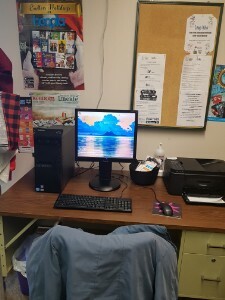 HOOPLA is a program that offers digital media service offered by your local public library that allows you to borrow movies, music, audiobooks, ebooks, comics and TV shows to enjoy on your computer, tablet, or phone and even your TV! With no waiting, titles can be streamed immediately, or downloaded to phones or tablets for offline enjoyment later. We have hundreds of thousands of titles to choose from, with more being added daily. hoopla is like having your public library at your fingertips. Anytime. Anywhere. InstantFlix: Powered by IndieFlix brings engaging stories to movie lovers around the world. * Robust content: Enjoy over 7,000 high-quality shorts, features, documentaries, classic TV shows and Web series from 85 countries. * Film-festival hits: View films from major festivals all over the world, including Sundance, Cannes, Tribeca, and more! * The films you want: Sort by language, genre, or film length with easy-to-use filters. * Support for filmmakers: Contribute to films just by subscribing, because InstantFlix directly supports the filmmakers. * Anytime, anywhere access: Watch movies on any Internet-enabled computer, smartphone, or tablet with a Web browser! Also available on Roku, Xbox, and Apple TV. Freegal Music - You can download all the latest songs! Freading - EBOOKS you can download! GET A LIBRARY CARD- A DOORWAY TO MANY OPTIONS! 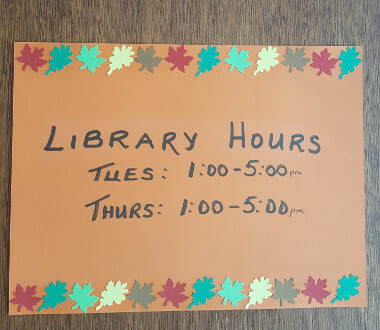 To sign up for a card, visit any branch or any other Saskatchewan Public Library and ask a staff member at the Circulation Desk to assist you. Adults& Young Adults (ages 14+) must show two pieces of identification, one establishing their current address and a second piece that verifies identity. Children (under 14 years of age) must be accompanied by a parent or legal guardian who must show two pieces of identification, one establishing his or her current (Saskatchewan) address and a second piece that verifies identity. These documents will be used to register the child. The parent or legal guardian will need to sign the child's Library card. The signer assumes responsibility for any Library charges incurred by the child. Borrowers are responsible for all materials borrowed on their card and any charges, including fines and replacement costs, resulting from the late return, damage or loss of materials. Any fees owing must be paid prior to annual Library card renewal. Library staff will also register a four-digit PIN (Personal Identification Number) on your Library account. A PIN is required to access your Parkland Regional Library account from any computer with internet access. By having a PIN, you can find out what materials you have checked out, what may be overdue and what materials you've requested by placing a hold. You are also able to renew items you currently have checked out! **An informal book club will be starting at the Library on Thursday Jan. 31 @ 2pm. Coffee, tea and goodies will be available between 2-3pm. Please feel free to stop in, share a chuckle and chat up any books you have or currently are reading. Everyone is invited to drop on by!